CSIT President Molea visited Latvian Olympic Committee. 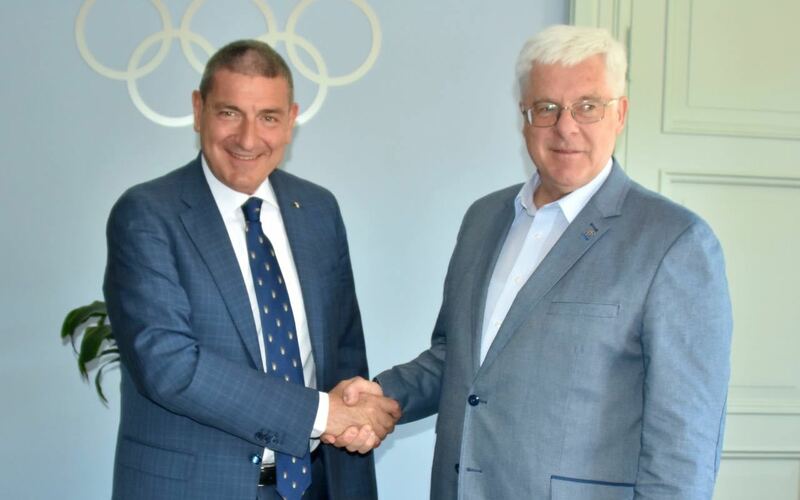 In the framework of the 5th CSIT World Sports Games in Riga Bruno Molea also had a meeting with Aldons Vrublevskis, the chairman of the Latvian Olympic Committee. The highest representative of Latvian sports expressed his high satisfaction with the organization of the World Sports Games 2017 and the presence of thousand of athletes from all over the world in the Latvian capital, who have become international ambassadors for Latvian hospitality.